?If changing strings has never been your strong point, put down those pliers and pick up "Pop Guitars"! Fresh from the Prime Loops sound suite, this electric guitar sample pack offers an astounding array of warm, organic tones perfect for mainstream pop productions! From solid strumming to precise picking, the guitar has been the star in the eyes of pop producers since the genre's inception. The instrument on which many incredible arrangements were born, the guitar is hugely versatile in the range of elements it can bring! You'll find all of these fundamental elements in this string-ringing guitar sound library! 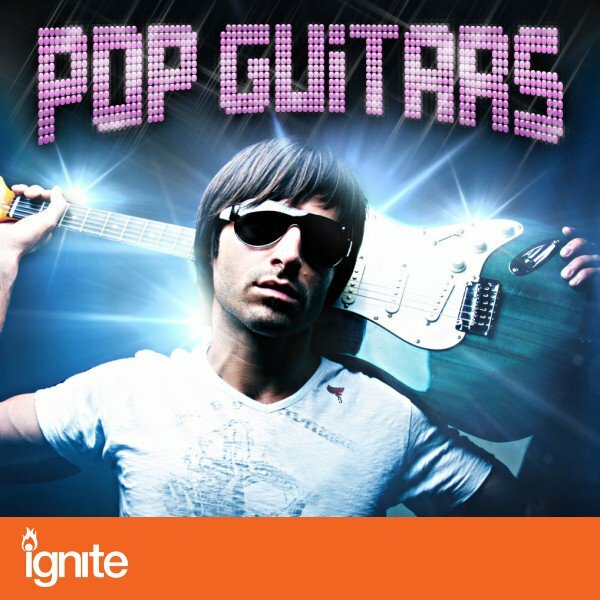 "Pop Guitars" offers 3 folders of stunningly intricate riffs, picking patterns and arpeggios delivered in an incredible range of carefully tweaked tones! Ranging across 3 different BPMs (110, 125 and 128) this pack contains layered guitar patterns plus individual loops, allowing you to use single parts or to rebuild full arrangments with each loop sonically re-mastered to your own taste! As if that wasn't generous enough, every single sample comes with its very own modulated counterpart, giving you the choice of 'Dry' (clean tones) or 'Wet' (modulated tones)! 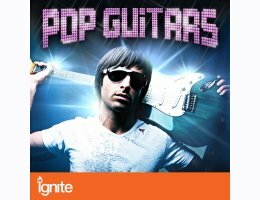 Arriving via direct download at an epic 540MB+, "Pop Guitars" is delivered in stunning 24-bit high definition. This sonic set of strings is so simple to handle, all you need to do is drag and drop each sample into your selected software and it will sync straight into your mix. If you need to tweak the tempo then all you need to do is stretch or squeeze any of these samples in your software and you won't lose any of that flawless clarity! As you can expect with every Prime Loops product, this one comes to you 100% royalty free! If you're looking for steel strings that really sing, "Pop Guitars" promises a powerful array of tonal majesty that will push your mix that bit further!